A Frog Dissection (open to all Gr. 8-12s) was held during the lunch hour on Tuesday. 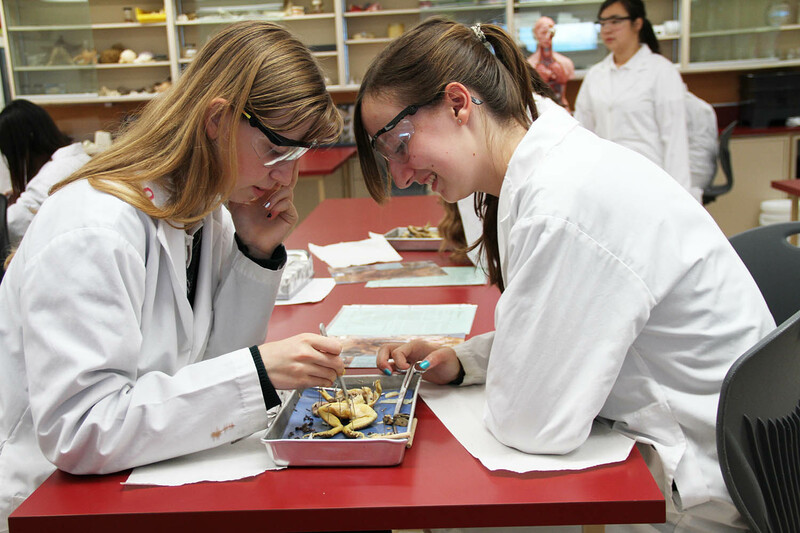 The dissection was optional as frog dissection is no longer part of the Science curriculum — students no longer study vertebrates in High School (aside from humans, that is!). Following a diagram, the girls opened up the stomach to see what their frog’s last meal was. What they found was A LOT of flies. The highlight came at the end of the hour, when one of the students managed to locate the brain. Thank you to Jessica J. and Denice W. (Gr. 12) for organizing the event. Next PostNext Portable Pool Party!